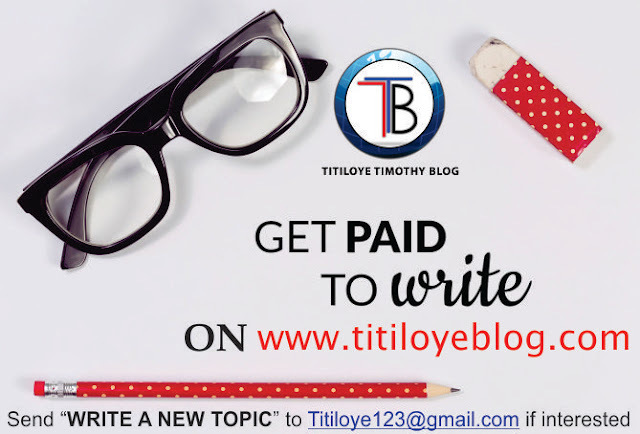 Are you a good writer who want to convert his/her writing skills into cash? Congratulation, you're at the right place at the right time. 1. We give you topics to write on. But if you want to form a topic yourself, no problem, in as much as it is satisfied by us. 2. 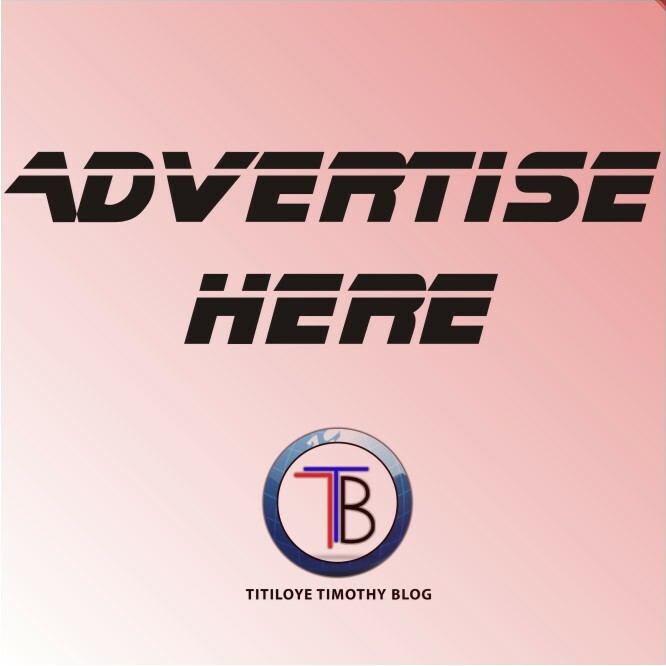 We'll pay N2 (2 naira) per 5 words used. So you can write as much as you want to earn more. 3. You must attach image(s) to the article where necessary. 4. We only accept articles on Microsoft Word and PDF formats. 5. Article written must not have existed before (therefore it should be a primary article). 6. You can search for related articles online to expand your knowledge on the subject matter, but the plagiarism rate should be 0% (i.e free of 'copy and paste'). 7. You must submit the written article in 4 days to the given period to [email protected] Let the subject of the email be "WRITE A NEW TOPIC"
8. We accept a minimum of 500 words (it may be more). 9. 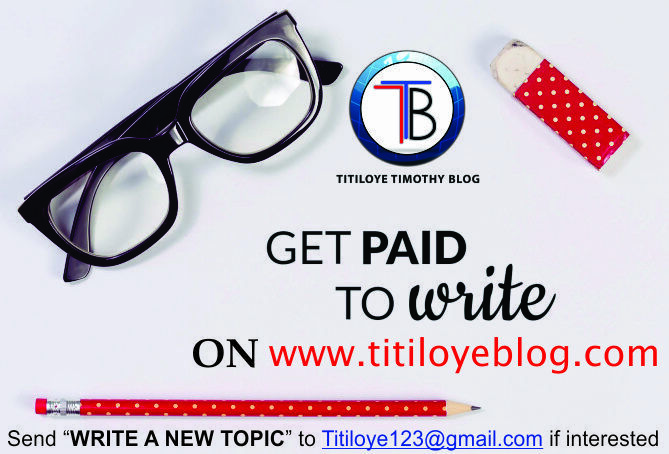 Any article we have paid for will henceforth belong to www.titiloyeblog.com. But if you don't want this, then we won't pay you for the article written. But we will credit your name at the end of the article which will give you more chances of been indexed by Google. 10. Below your write up, you must include your full name, email address and phone number for reference purpose. 12. Mode of payment is either through bank transfer or mobile top-up. 13. 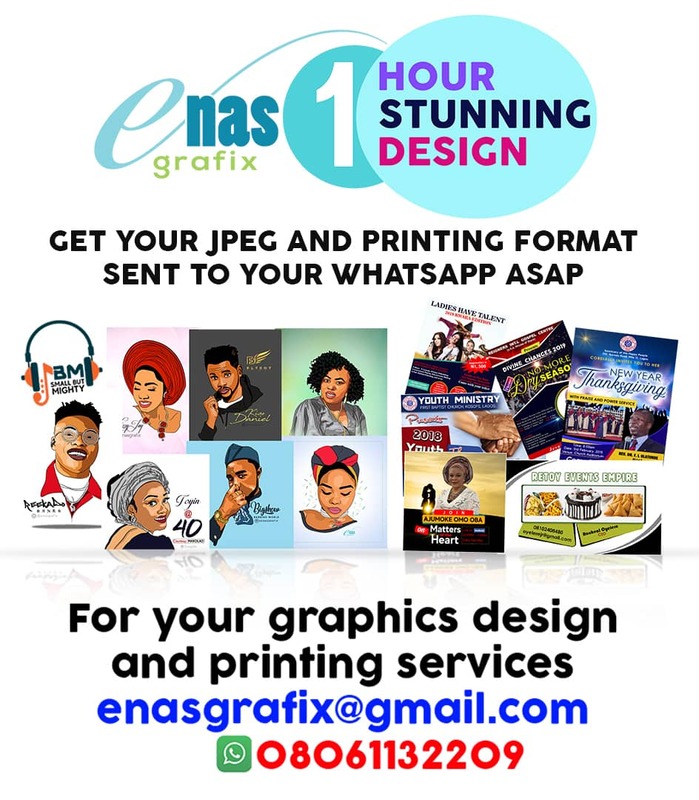 Minimum payout is N1,000. This means you must have earned N1,000 before you can be paid. 14. Above all, you must be a prolific writer. A writer who has a very vast knowledge of the subject msatter (which includes adequate research). I presume you know what I mean. We are trusted, reliable and secured. I'm interested in this. I love to write. Give me topics to work on. Thanks. Carefully read the article above.